A very rare Sunnyboys Yellow Vinyl. All band names inscribed in EP itself. I came to know, that these were given away at gigs with less than 500 issued. But am not sure if they all have same designs as this one. Please check it out..
Says Live at the Rocks..
Sunnyboys Records are one of the most sought after bands of Australian Pop, punk and rock era genres from the 80s. 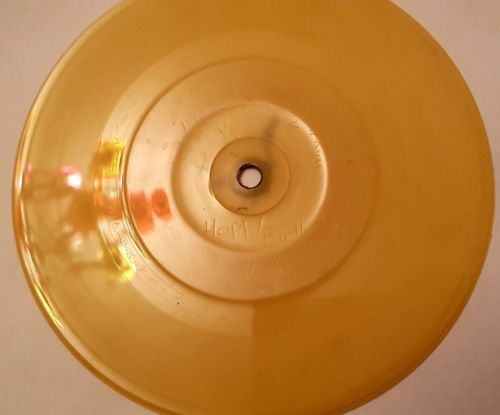 A totally custom made vinyl record as seen with Oxley / Mushroom Records and also please note a small inscription WH or WG? You will be a proud owner of this interesting record and an absolute delight to be displayed or played. Inspection can be arranged for viewing, contact me. If pick up cash is preferred.